관광에도 비지니스 출장시에도 상파울루에 방문 하실 때 최고의 호텔 선택은 햄프턴 파크 호텔 입니다. 이곳에서 생생한 도시의 모든것을 쉽게 즐기실 수 있습니다. 호텔에서 손님들의 즐거운 관광을 위해 도시 최고의 명소를 소개합니다 : 파크 시부에이라 캠포스, 무세우 드 아트 드 사오 파울로 (MASP), 기념비 밴데이라스. 상파울루에 위치한 호텔의 장점은 비할데 없는 서비스와 오락 시설이 마련되어 있는 것입니다. 손님들을 위해 편리한 24시간 프런트 데스크, 여행 가방 보관, 주차장, 룸 서비스, 회의시설 등을 호텔에서 제공합니다. 모든 숙박시설에는 생활 편의시설이 마련되어 있어 더할나위 없이 편하게 보내실 수 있습니다. 운동을 좋아하는 사람이나 힘든날을 뒤로하고 피로를 풀러 방문하는 모든 고객들에게 최상급의 헬스장, 사우나, 실외 수영장 같은 레크레이션 시설을 사용하실 수 있습니다. 이상적인 위치와 시설이 잘 어우러진 햄프턴 파크 호텔 숙박시설은 다양한 옵션을 마주 할 수 있는 곳입니다. The hotel was listed as English speaking, but I had a nightmare dealing with the staff who apparently did not speak English at all (reception). I had a trouble with the room that needed help and few requests (like asking hot water to be sent so I can make tea in my room), but he just told me he couldn't speak English. I asked for the manager but he said 'no...no'. It was really irritating and annoying. I rate this hotel satisfactory because I got a very good rate for only BR150 per night. I checked price by '1 night' I dont know why only for this date is cheap. The other dates in my travel period are double the price. So I stayed in this hotel only for 1 night. My advice, if the rate is more than BR150, then it's not worth. If I have paid BR300 for a night, I would have marked 'unsatisfactory'. 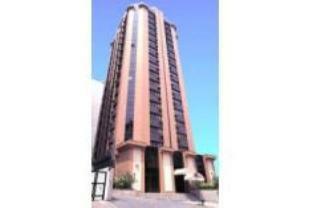 location is safe and good, very near to the super markets and shopping center . staff is well behaved. breakfast/food was good.